You know not to run with scissors so it should be common sense to not run with a plasma sword…at least one would think. 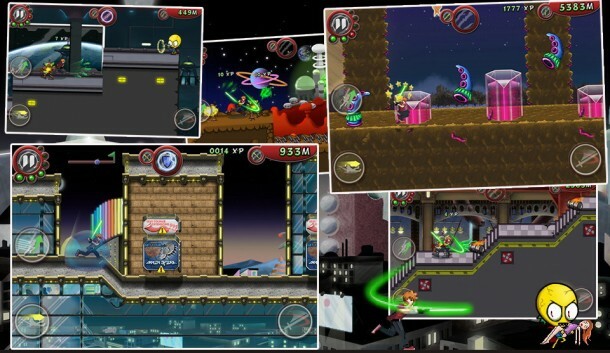 XperimentalZ Games‘ newest game is called exactly that; Don’t Run With a Plasma Sword and is a mix of endless runner with slashing sword action. 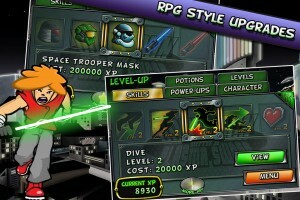 Don’t Run With a Plasma Sword may seem like just another endless runner that you play everyday but it is more than that with its RPG like upgrade system and other features. It has been out on iOS for a while and now has been released on Google Play for $0.99. The story behind Don’t Run With a Plasma Sword is you play a nerd named Cornelius who has always wanted to be a hero. Now an alien invasion is taking place giving him the perfect opportunity to do just that. 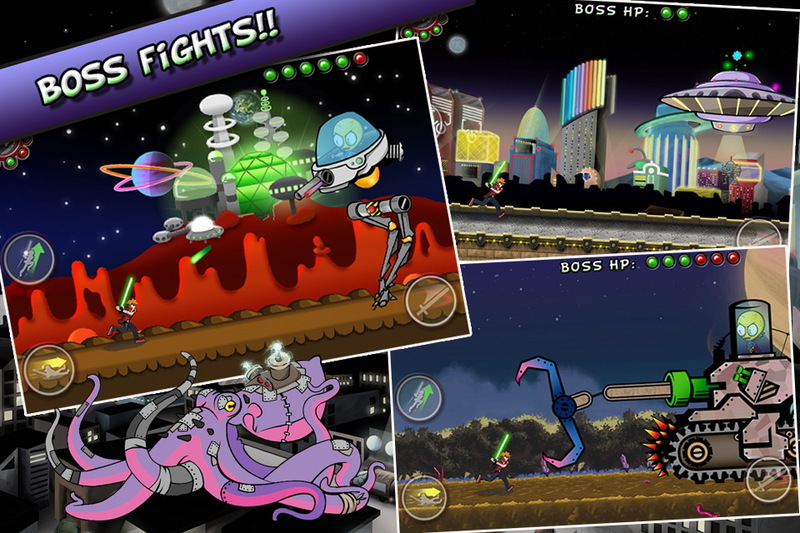 Within Don’t Run With a Plasma Sword there are five different themed levels such as City, Factory, Mother ship, Alien Planet, Tandoori Moon. 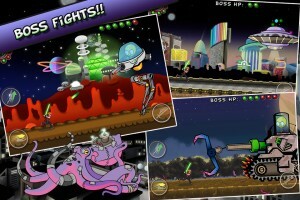 In those levels you will have boss battles to contend with, upgrades to utilize and ability to customize your avatar. 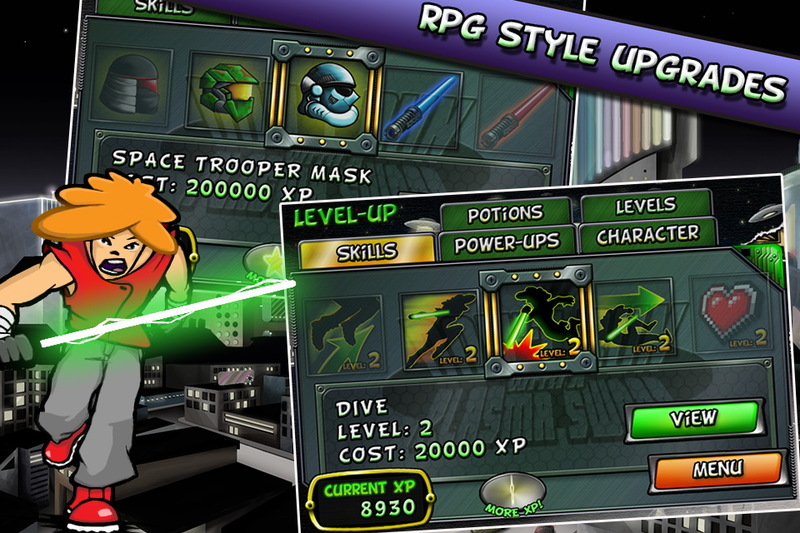 There also are tons of powerups and monster types to slice and dice. 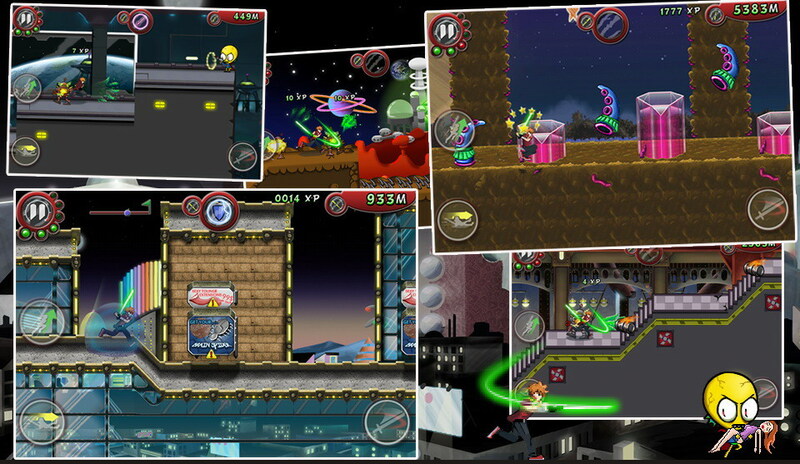 In addition to the level based endless running hack and slash action there is a straight endless running mode with randomized levels of the different themes to keep you busy for days. Already a hit on other platforms, Don’t Run With a Plasma Sword is a game you need to check out!